OSCE SMM recorded at least 370 violations of the “ceasefire” since the beginning of the “school ceasefire” in Donbas (since midnight August 29), as Oleksandr Hug, Deputy Chairman of OSCE SMM, at the briefing in Ukraine Crisis Media Centre, 112.ua reports. “In total, since the midnight of Wednesday, when the decision on restoration of the obligations came into force, we documented at least 370 violations of the ceasefire,” Hug stated. The representatives of the mission noted that there were fewer violations of the ceasefire, yet the attacks are still being performed. “Since it (ceasefire, - ed.) came into force at midnight on Wednesday, we noted the accelerated depreciation of the number of violations… The violations continue occurring after another restoration of the commitment. We record them on a low, but still stable level,” Hug stated. He added that last week OSCE SMM documented a 10% decrease of the number of ceasefire violations. Reportedly, according to the agreement of the Trilateral Contact Group in Minsk, since midnight on August 29 in Donbas the “school” ceasefire started. However, according to the Joint Forces Operation headquarters, the militants violated the ceasefire in first minutes and shot at our positions from heavy machine guns near Hnutove and Talakivka. 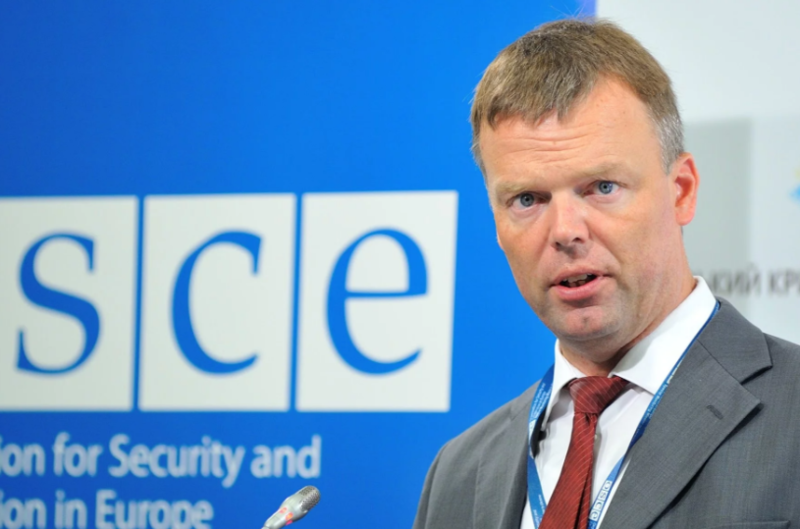 OSCE recorded 70 violations of the “school” ceasefire.